As a renter, there are so many clauses that you are bound to, which includes no drilling. However, at the same time you are supposed to keep the property "as-new" and free of mould and soap scum. Oh what a challenge it is! This is where Everloc Xpressions come in: The range employs Everloc's original patented dual-action suction technology, which offers unparalleled suction and requires no tools, no drilling and no screw-driving. I'm sure my landlord and leasing agent will also be pleased to hear that the accessories also leaves no damage on surfaces. Last time around I explained how easy it was for the less-crafty among us to install the Everloc accessories. I raved on and on about the product to my partner, so this time he decided to take the reins and install the medium bathroom shelf. The fact that we did it on a lazy Sunday goes on to show that the Everloc range is truly an easy DIY projects - no fiddling and deciphering IKEA instructions here! It only took us 10 - 15 minutes to assemble the shelf and stack our toiletries on there. Speaking of which, I was amazed at the amount of storage space. 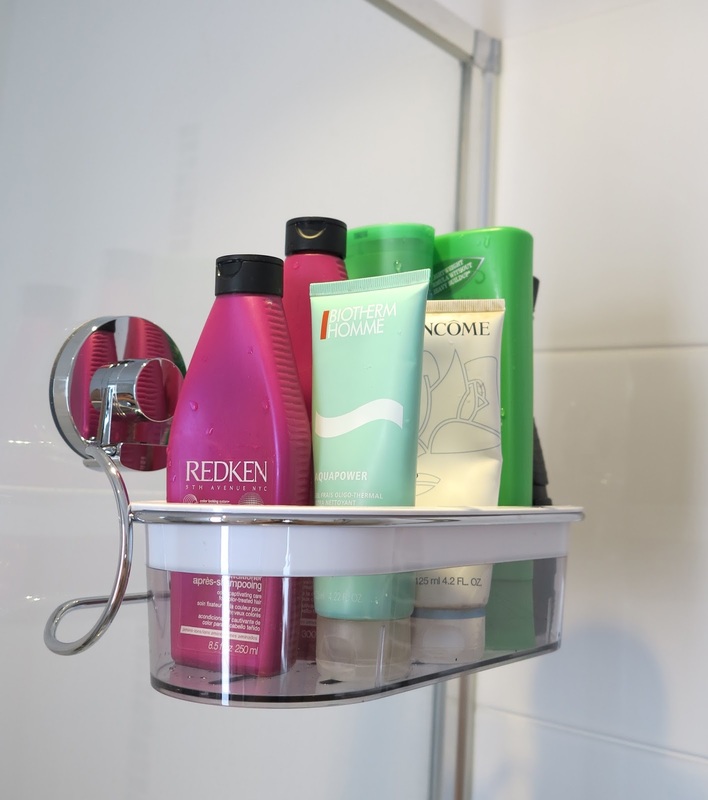 In the picture above, the polycarbonate "basket" was holding 7 bottles of toiletry with room to spare! Now, is that an economic storage solution or what? Moreover, I love that the transparent polycarbonate "basket" and that the flooring has slits to prevent scum or mould build-up. Sure, I probably should've installed something similar or get a plastic corner shelf. 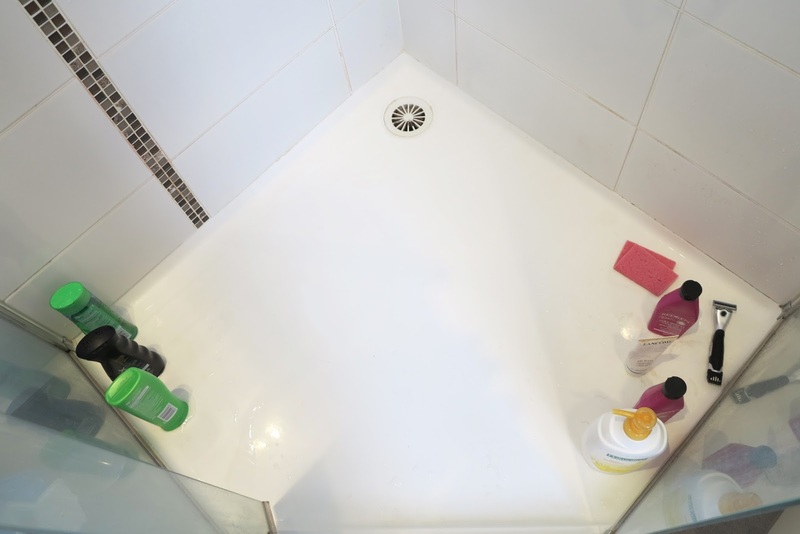 However, mould builds up over time and the space becomes more of a health hazard than a space to clean yourself. 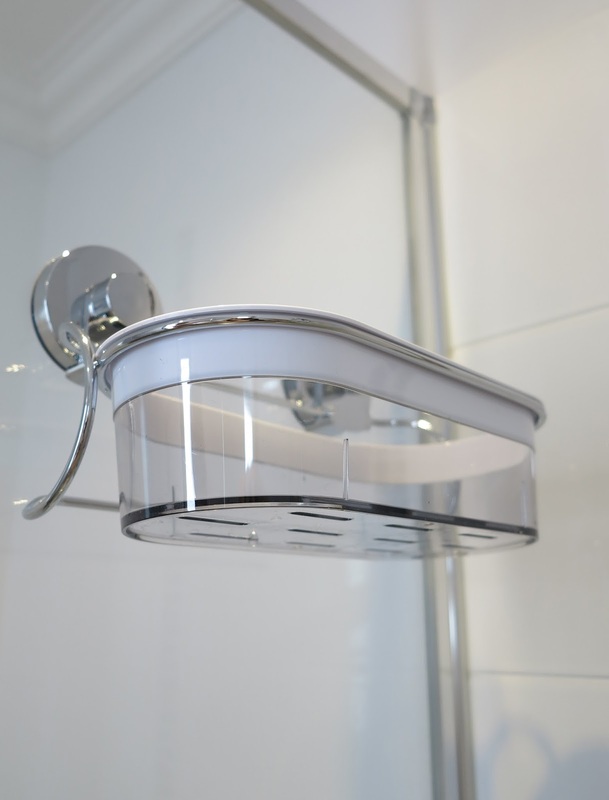 The Xpressions range of bathroom accessories are made from rust-resistant stainless steel, perfect for wet areas. The polycarbonate addition to this range provides extra strength, durability and hygiene. In addition, it looks great and is easy to install! Even when I am a homeowner, I will prefer to use an Everloc product over drilling on tiles, especially since Everloc products can be reinstalled, time and time again. 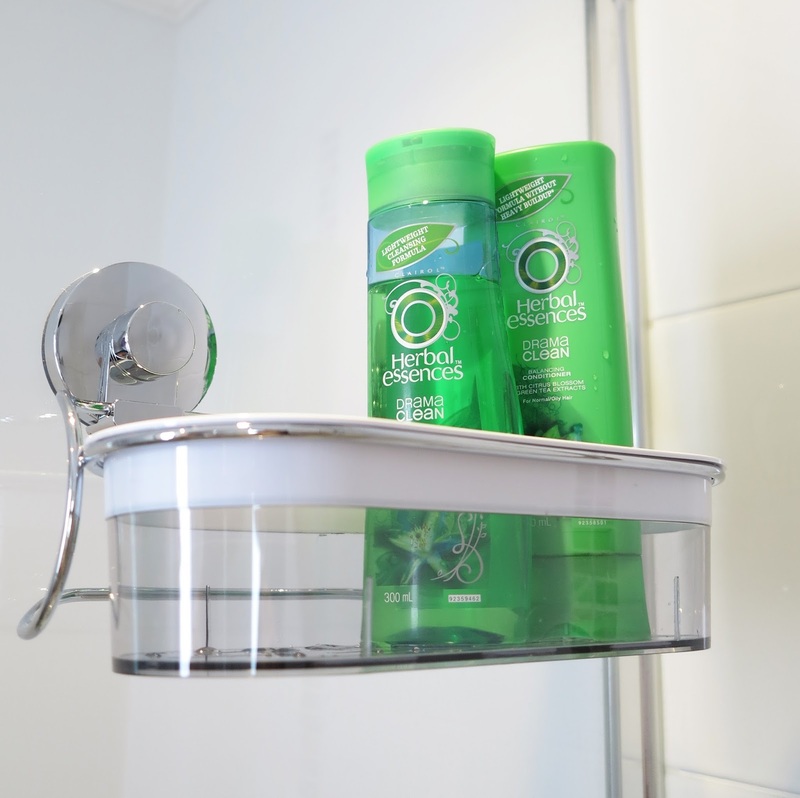 So, if you are doing some spring cleaning or decided to start the new year with some storage and home organisation, do take a look at a range of storage solutions that Everloc offers. For more information about Everloc's stockists, please visit http://everloc.com.au/where-to-buy-2.